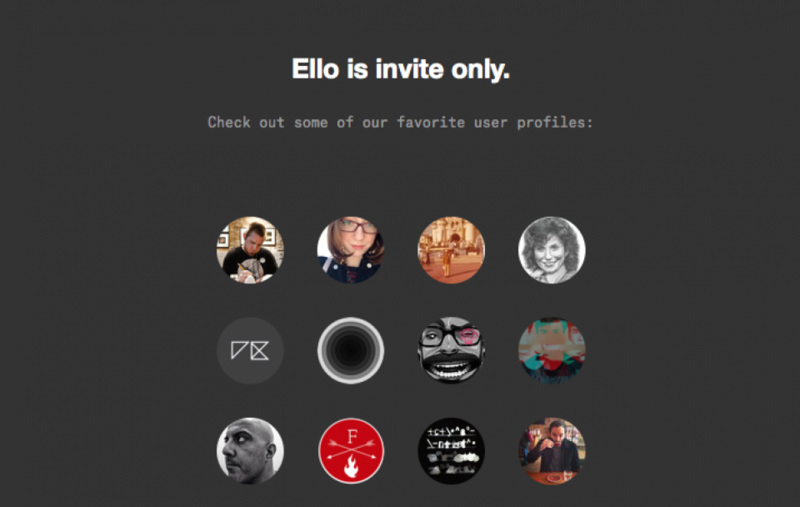 Ello has got off to a great start - but it's in danger of being the latest of a long line of failed products that have tried to offer an alternative to existing social networks. There are many ways you can successfully pitch a product to users. "We're not Facebook/Twitter" probably isn't one of them. Right now, people are rather uncomfortable about Facebook. It's data-harvesting has been known about for a long time - and has just taken on a new form with the announcement that it'll be using that information to create an advertising service usable off Facebook itself. More significantly, its push towards real names (even as Google+ backs away from it) has annoyed several communities. Which brings us to Ello. This is, of course, what's got people excited: the idea of no longer being packaged and sold wholesale. And they are excited - Ello has seen a surge in sign-ups. There is some precedent for this. A couple of years ago app.net was launched with a crowd-funding campaign to create a more open version of Twitter - but in the long-run failed to attract enough subscription renewals to make the service viable. It lives on - but in maintenance mode only - as a lesson that a pay-only service is unlikely to generate the network effects needed to make a social platform work. And then there was Google's newest foray into social networking. 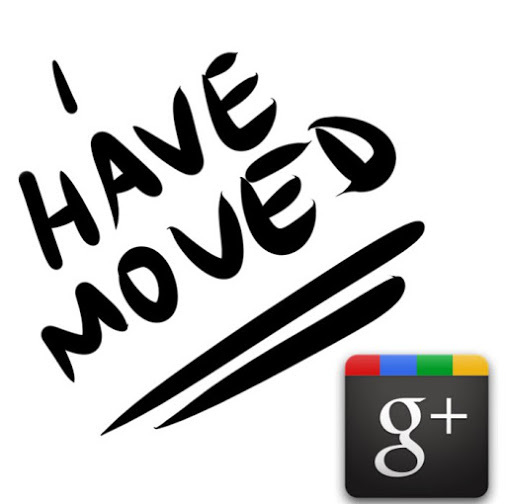 Google+ saw many people post "I've moved" signs to Facebook, before creeping back months later. And those with long enough memories might remember the successful crowd-funding for Diaspora, an open Facebook competitor, which never really gained any traction. The core problem is that in every case the proposition was "it's like Facebook, but not Facebook" or "it's like Twitter, but not Twitter". People rarely shift from one network to another simply for political or philosophical reasons - or, at least, not in the numbers needed for the network effect to really kick in. This is the challenge Ello has - it has to persuade us that it has more to offer than just being the "not Facebook". It's doing some things right: the invite systems both controls their growth so they can manage the tech, and creates a buzz around the product that gets people interested. Their interface is simple - even if it's not to the taste of all. And the split between "friends" and "noise" is interesting - even if the rather derogatory name for the latter category hides how useful it can be. However, the main selling point remains its "not-Facebook" credentials. And that could be a tough sell. 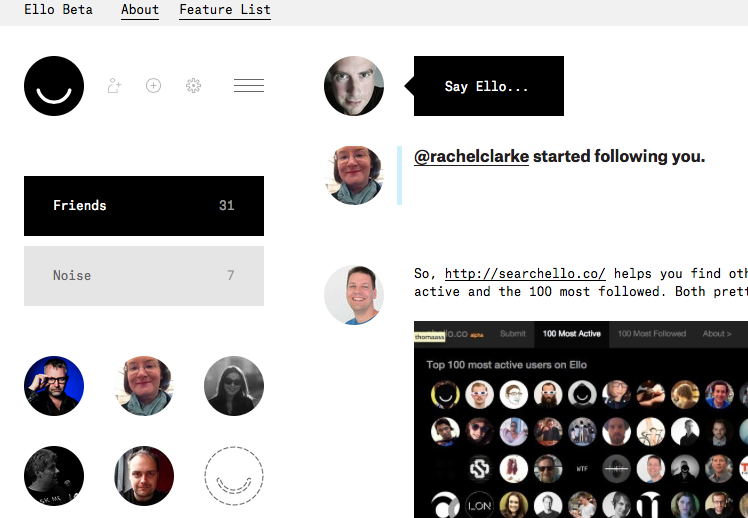 Ello has, indeed, taken venture capital money. Now, that doesn't mean that they'll be acquired or start selling data - but the only other alternative that would allow them to keep their promise would be to build a sustainable business that they eventually float - and then the vagaries of the shareholder system come into play. One way or another, the VCs will want their money and profit - and that would put pressure on that manifesto over time. Based on some rough calculations, Facebook makes about 6$ per user per year from advertising, and that’s a model where all the users use the service for free. Now let’s assume that Ello is pragmatic and understands that there’s no way to make everyone pay, so it decides instead to use a freemium model, where a small percentage of the users pay money to subsidize the rest. Now let’s also assume the (very ambitious) figure of 10%, as the percentage of Ello’s users who are willing to pay for the service to subsidize the rest. This means that for Ello to break even, 10% of its users need to pay 60$ per year, and we’re not even counting facebook’s advantage of economies of scale, which means that a likelier figure for the paid tier version of Ello would be 100$ per year. Are 10% of Facebook's user base worried enough about ads and privacy for that to work? Almost certainly not, or there would be many less Facebook users. Ello might work. But it'll have to find some compelling differences to Facebook that are more than just the absence of Facebook's more negative aspect - they need a positive story of features or abilities that Facebook doesn't have. And they'll need a hefty dollop of luck, too. I'm on Ello if you're a member, and want to connect.